Aiming to scale every 6,000m+ peak in the Andes, Maximo Kausch has set himself a monumental task. But scaling the peaks is only half the challenge. 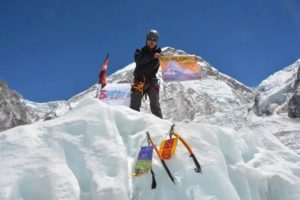 Maximo’s project has now covered 10 years and 3 countries, with a whopping 82 peaks scaled. 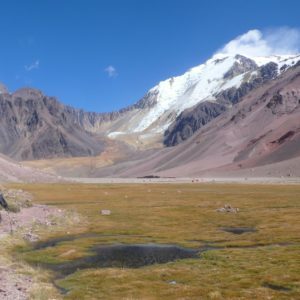 Previously we delved in to how Max had approached this huge project, looking at what makes a mountain, and how he had formed his final list of the 6,000m+ peaks in the Andes. 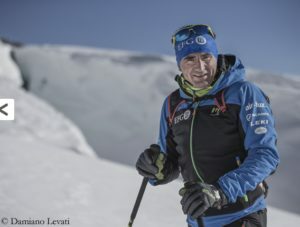 This week we caught up with Maximo, fresh off 3 major expeditions to Aconcagua, to get his thoughts on defining mountains, and the projects continuing progression and evolution. ExWeb: We recently published an article exploring the process you used to create a comprehensive list of the 6,000m peaks in the Andes. You were initially looking at mountain prominence, before switching to dominance in 2015. What were the reasons behind this shift, and have your criteria and methods for measuring peaks undergone any other changes over the course of the project? Great question! Well let’s put it like this, when you compare the 300m (or 400m) minimum prominence given by a key col, this is ‘fair’ when talking about a 6,000m peak. But when you compare the 300m minimum to Scotland’s highest peak, at 1,340m, it becomes a big number. The opposite happens when you compare it to Pakistan’s massive 8,080m Hidden Peak. So I believe the minimum requirements for a mountain to be called a mountain should be proportional to its height. Dominance fits perfectly! There will be hundreds of discussions triggered by these choices. Most of these arguments are subjective to history and knowledge. My main argument is that most of the Andean mountains are climbed once every 4 to 10 years (not to mention the hundreds of unclimbed ones). Therefore all the criteria used to categorize mountains shouldn’t solely depend upon human exploration. This is especially true on a continent where massive, and almost unknown, Incan exploration has already taken place. It seems that the mathematical criteria is the logical choice here. Regarding methods, yes, we have had many changes and they were for the better. Initially my method used series of perpendicular lines between the ‘father’ peak and the mountain in question. Using Google Elevation API I’d extract hundreds of altitude samples from such lines. The ridge profile would come up from joining the highest point from each line. From that 3D profile I could easily find its lowest point and our key col or saddle, of extreme importance for my lists. However this method assumed that most ridges followed a near straight line, or even a ‘C’ shape. It failed in about 3% of cases. 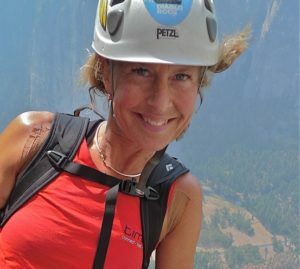 My friend Dr Suzie Imber, a physics PhD and teacher at Leicester University (and also a very skilled mountaineer), completely changed this picture. She proposed an ‘island’ method and greatly reduced the margin of error. Imagine you could increase the ocean level and have the mountain in question and it’s ‘father’ in an island. You’d then draw the coast of this unique island and increase the ocean level a few metres until you have 2 islands. The last point connecting these islands is the key col. The idea is great but it requires a lot of processing power when drawing the contour of a complex island like Ojos del Salado (6,898m) and it’s father Aconcagua, thousands of kilometres away. The code requires super computers to run. I can’t even dream on having access to these machines as I’m just a mountain guide and climbing bum in my spare time. Suzie however has access to such unbelievable resources and has much more brain power to write these codes. We can now run the same code in different areas like the Himalayas or Pamirs. 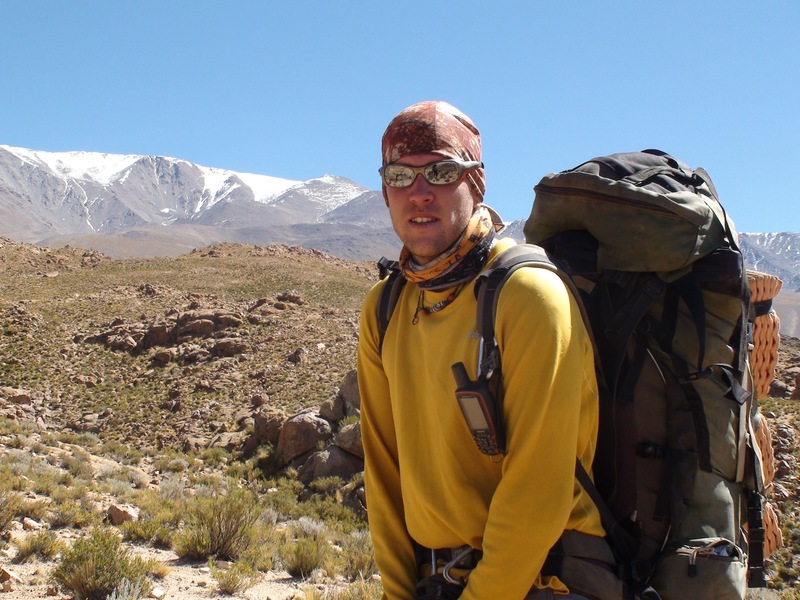 ExWeb: Your Andes 6,000m+ project has been in progress for quite some time; we last spoke to you about it back in 2013 after you had just completed your 59th peak. You spoke then about how you weren’t sure what you were getting yourself into at the start. How do you feel about the project now, 5 years and another 23 peaks down the line? Is it difficult to keep motivated after so many years working on the same project? When you climb one of these mountains all you can think about is how much you haven’t done yet. Usually hundreds of mountains I’ve never heard of show up in the horizon and they make me feel very humble. The more of them I climb the more I realise how much I haven’t done (6000ers or not). ExWeb: With so many peaks to summit do you find that your approach to these climbs has changed when compared to previous expeditions? How you typically approach a new peak? I now understand the terrain way better than before. I used to make too many crucial mistakes and I have changed the way I climb and explore a bit. I now understand technology limitations better than before and realised technology we have available is not to be fully trusted. GPS units for instance don’t have the accuracy they say they have. Digital Elevation Models are built by interpolation computer programs based on the only available topography sources, which sometimes turn out to be none. So I have learned not to trust these blindly. Trusting your guts is also something that came with experience. I can now rely on my experience to just about do 20 hour climbs, knowing I might not die. 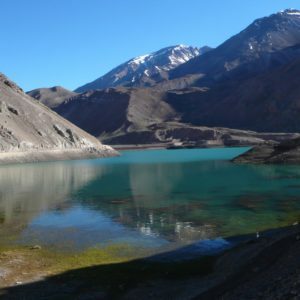 ExWeb: You say that you started on the project largely out of curiosity, particularly as there is such limited data on the Andes when compared to the Himalayas or the Alps. 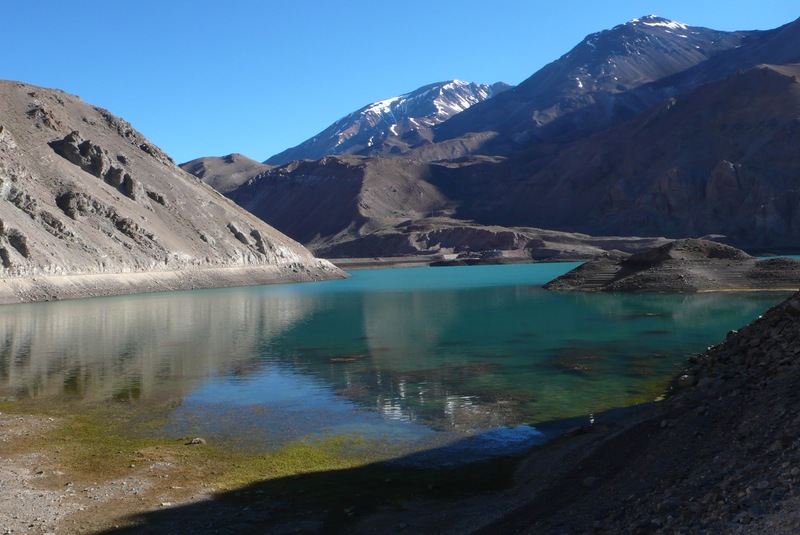 What have you learned about the Andes during the project, and what have been your personal highlights so far? 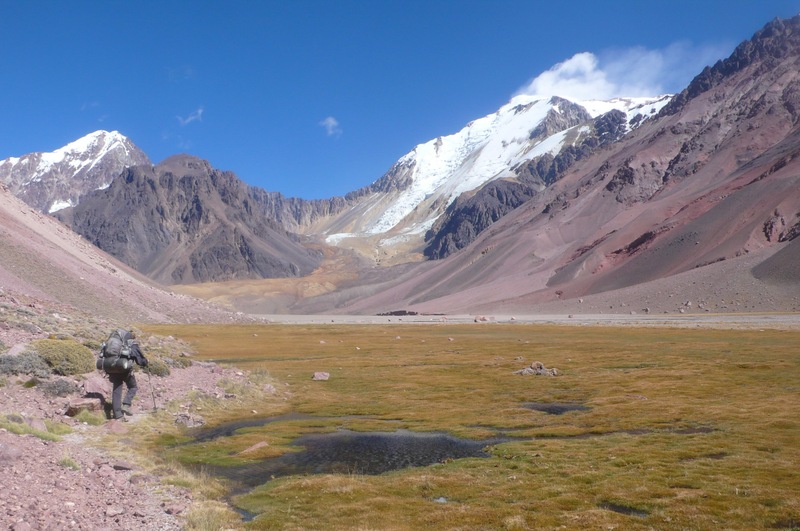 During my project I realised Andean mountains are much more unexplored than I had thought. 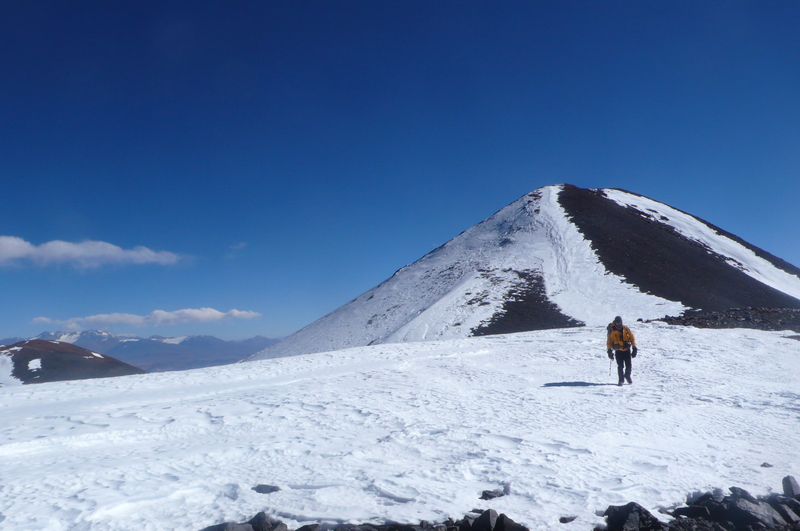 I didn’t know, but peaks like Nevado Plomo (6,060m), very close to the Chilean capital Santiago, receive 1 or 2 expeditions every 5 years! Some of the Peruvian 6000ers have only been climbed twice! 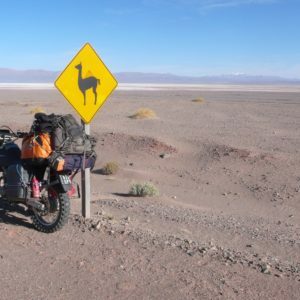 South American authorities proved to be a pain, especially the ones close the most remote peaks. I didn’t expect that at the start. 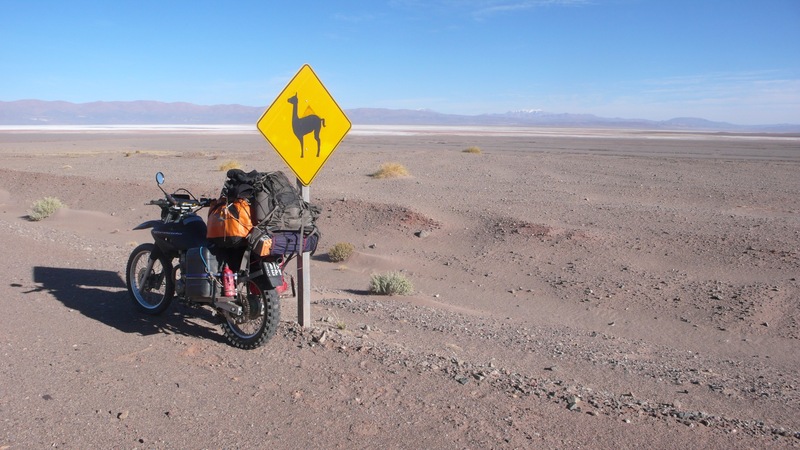 ExWeb: Having completed every 6,000m+ peak on your list from Bolivia, Chile and Argentina, next up is Peru. What are your plans for these final 23 peaks and how will you prepare yourself physically and mentally to tackle them? I think the way forward for the Peruvian peaks is to not to plan too much. Some of these mountains are very tough and unpredictable, so the best way to approach and climb them is to stand at the bottom, look up, and decide which way to climb. Some years are bad, either too dry or too wet, so the best way is not to plan. 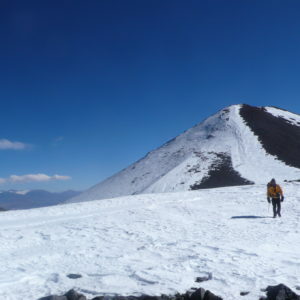 If you get to the summit, great! If you don’t get to the summit, well, I’ll come back next year!